Yesterday we arrived in the beautiful Buenos Aires. I haven’t been here long and I have fallen in love with this city! It’s extremely hot, the boys are cute and they all have accents to boot, what more could a girl want! Six team member are together already and we have a confirmed group of 11 of us going up into the mountain. The excitement is huge. None of are sleeping much, maybe a combination of the time difference and excitement. Thanks to wi-fi I can post this update. We are currently sitting at the airport again and will be flying to Mendoza at 8am. This brings us even closer to the mountain we all long to set foot on! 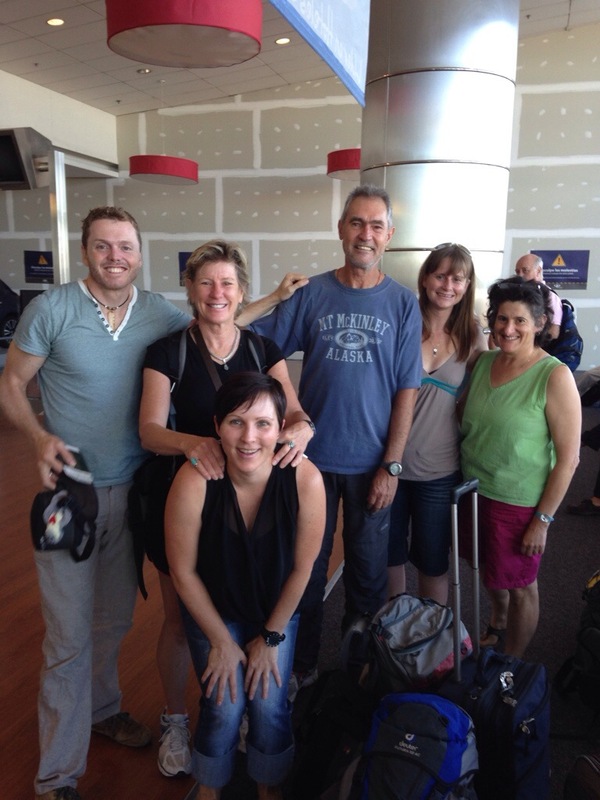 This photo was just taken of the six of us at the airport while we wait to board our flight. We are all a little hungry as we haven’t had breakfast yet but we are excited as can be! Onwards to Mendoza… The mountain is nearing! Hi Margy, thanks so much for the well wishes! We are all very excited and can’t wait to set foot on the mountain later this week! Hi Linda and James! Thanks for reading and so glad to hear you enjoyed it! The three of us are all currently very tired but so excited to get started! Will have (not very good) internet connection at Base Camp so going to attempt positing something when there! Hope you both keeping well.